What do you get when you mix a blue moon, a supermoon and a blood moon together? The rare event known as a Super Blue Blood Moon. After kicking off the new year with a Full Wolf Supermoon on Jan. 1, skywatchers were treated to a second supermoon on Jan. 30-31 that is also a blue moon and a blood moon. NBC 5 Photojournalist Noah Bullard created this time lapse of the Super Blue Blood Moon over North Texas Wednesday morning. Wednesday morning, the moon was on the shorter side of it's elliptical orbit (the perigee) — meaning it was about 15,000 miles closer to earth, according to Space.com. The supermoon appeared about 14 percent larger and 30 percent brighter than when it's farther away (the apogee). 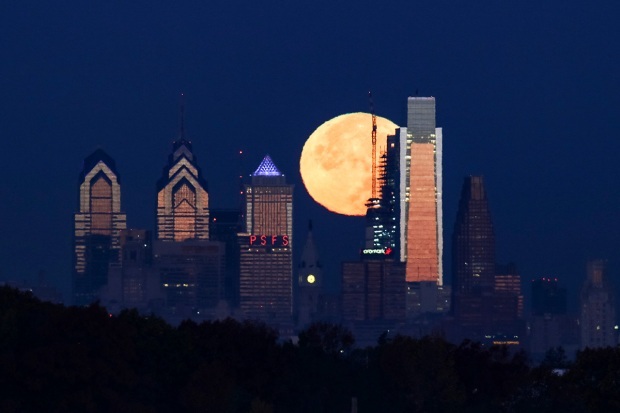 Space.com added that due to something called the "moon illusion," the full moon seemed huge rising behind distant objects and that the supermoon behind distant objects appeared even larger. That means the change in the moon wouldn't appear as dramatic when it's high in the sky, but if you caught it closer to the horizon it appeared much larger. 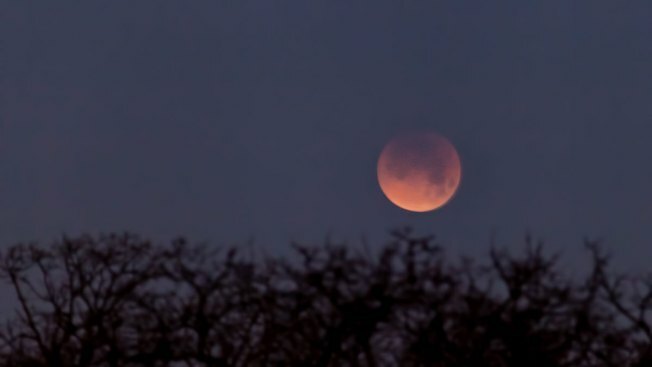 The Jan. 31 supermoon was also a blue moon as well as a blood moon. The Super Blue Blood moon had a reddish hue, however, not a blue one. A blue moon is the name given to the second full moon that occurs within a calendar month and has nothing to do with the moon's actual appearance. 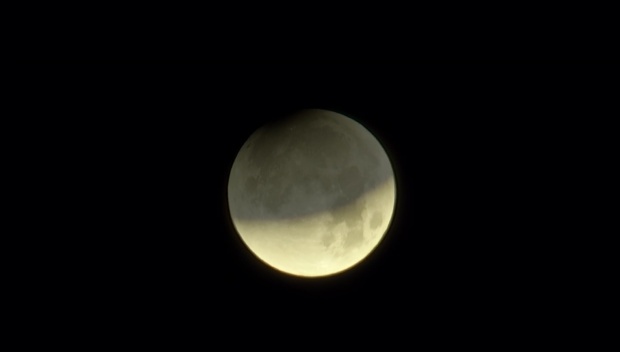 A blood moon, however, appears reddish due to filtered sunlight from an eclipse — in this case, the lunar eclipse that is happening at the same time. "The moon will lose its brightness and take on an eerie, fainter-than-normal glow from the scant sunlight that makes its way through Earth’s atmosphere. 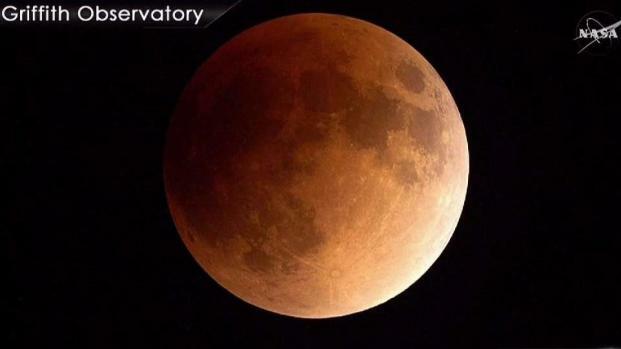 Often cast in a reddish hue because of the way the atmosphere bends the light, totally eclipsed moons are sometimes called ‘blood moons,'" NASA said. Dozens of moon watchers took in the rare Super Blue Blood Moon event Wednesday morning at Brookhaven College in Farmers Branch. Totality from the eclipse was visible from eastern Asia to the western United States, but was only partially visible over the rest of the country. If you missed Wednesday's blue moon, you won't have to wait that long to see another — the second, and the only other blue moon of 2018, will arrive on March 31 — it just won't be of the super blood variety. NBC 5's David Finfrock contributed to this report.